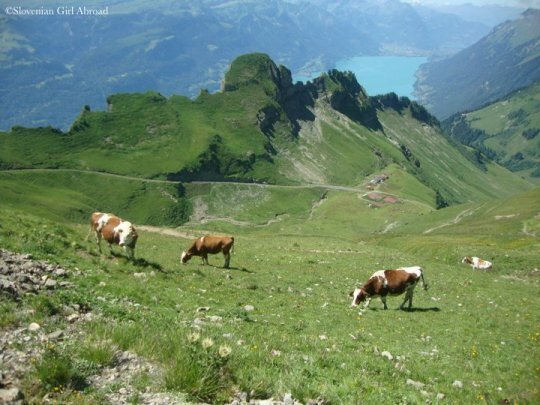 When imagining Switzerland, the image of cows decorated with large bells munching grass or lay about on green pastures surrounded by the majestic mountains, comes to your mind. The truth is not much different. 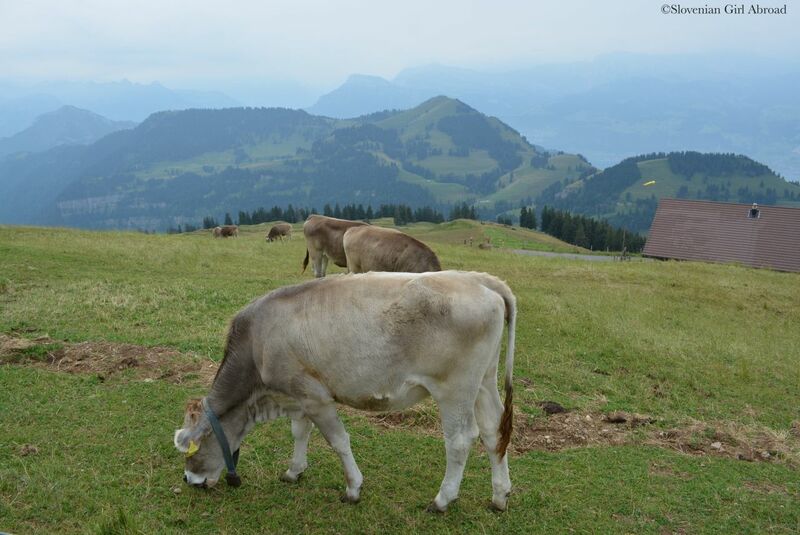 During the summer, cows are still to be found at the mountains. 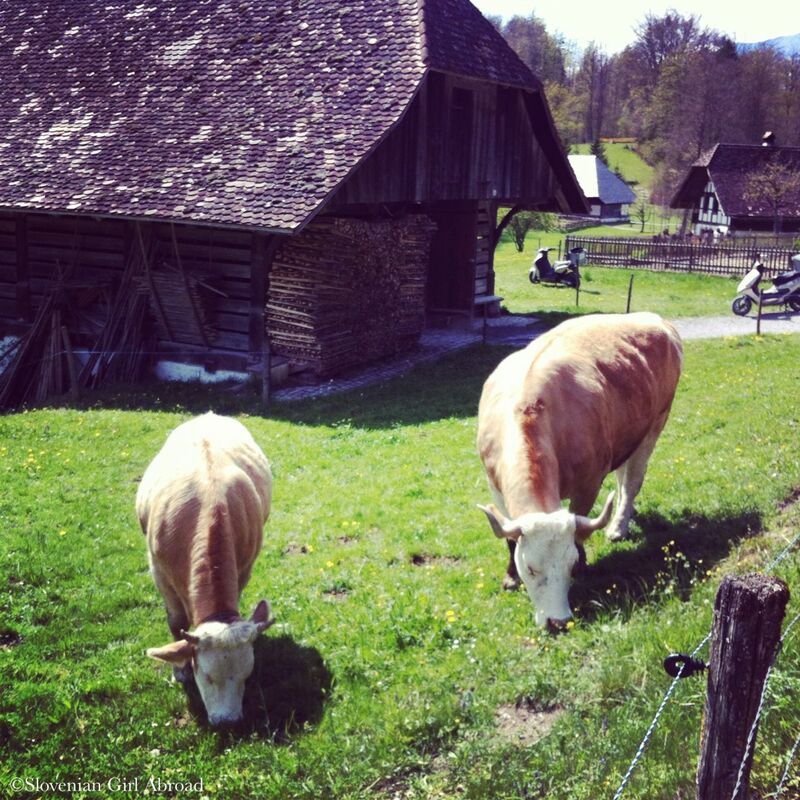 Here is collection of cows we’ve had a chance to encounter on our trips around Switzerland. Enjoy it! Wow! 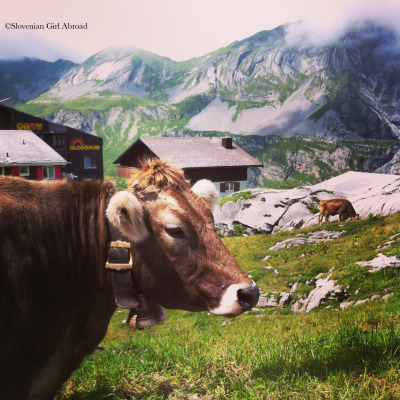 Swiss cows are supermodels! Stunning views (and the cows are cute too 🙂 )! 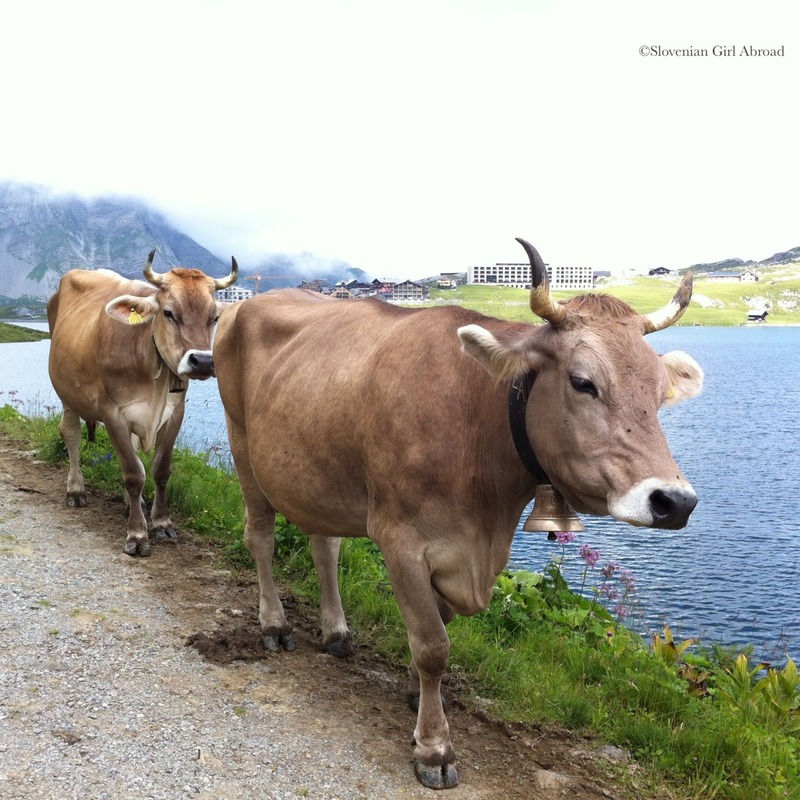 The cows were one of my favorite parts of hiking in the Swiss Alps. I especially loved the music their bells made! Great post Urska. Your Swiss cows look far more interesting than the cows here in Australia. 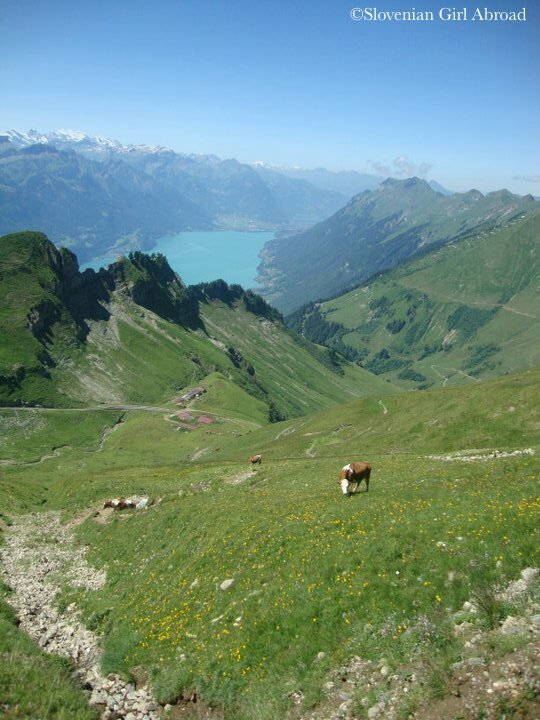 Maybe it’s all that natural green grass for grazing and the views. Love the pictures of the cows. My girls loved the bells on the cows and sheep. They bought a souvenir of a cow with bell to take back to Australia. Unfortunately our Australian cows don’t play lovely music. Najverjetneje bodo oktobra krave že nastanjene v toplih hlevih v dolinah. Če bo še toplo vreme, morda uzreš kakšno na kakšnem travniku v dolini. 🙂 Kje po Švici pa se boš potepal oktobra? 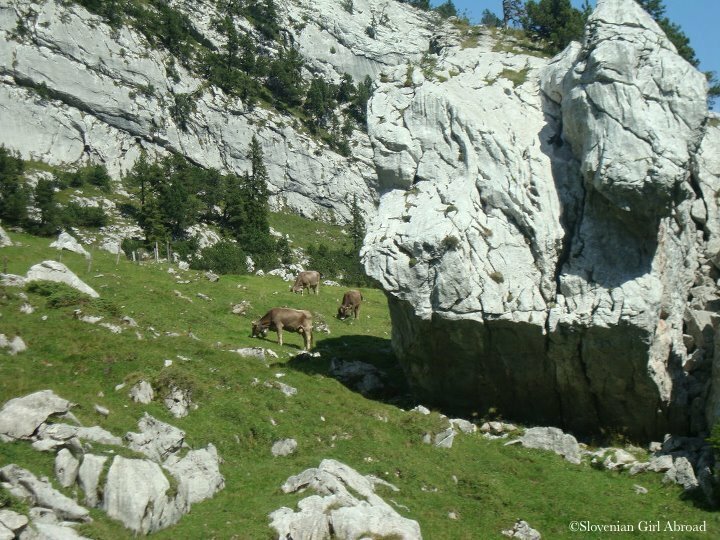 Vasica Axalp nad Brienzom – vaja švicarskih letalskih sil, tak da sem eden redkih slovencev, ki se udeležujejo tega posebnega dogodka… sploh ko splezaš na goro Wildgärst in slikaš letala navzdol, ko rohnijo ob pobočju proti tebi. My wife and I met in Switzerland! 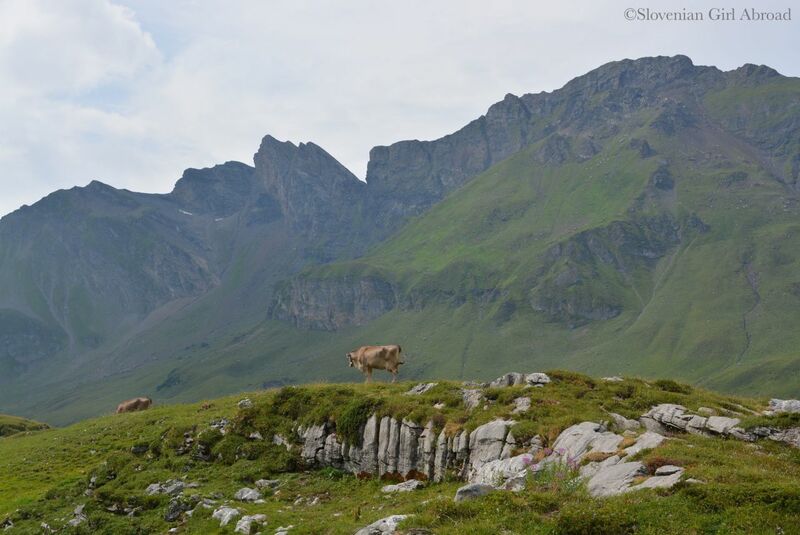 ….and we looooooove Bled, Slovenia which very much reminds us of Switzerland! 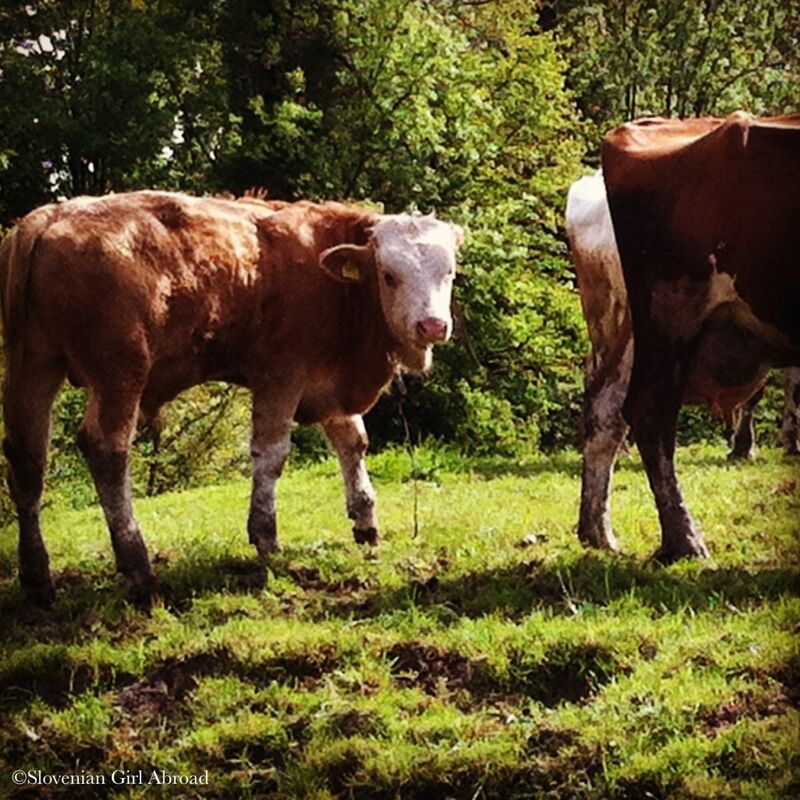 Great cow photos! Wonderful idea for a post. 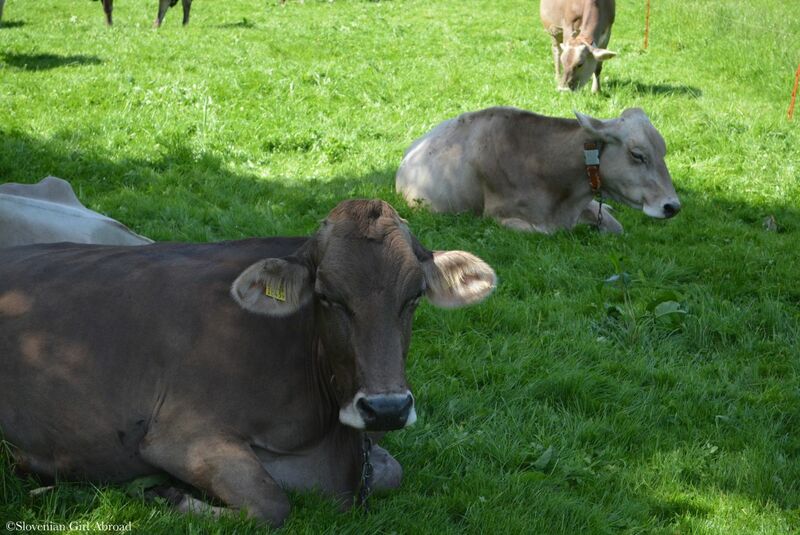 I think the chocolate in Switzerland is so good because the cows are so happy! I looooove cows with tinkling bells! They just look so cute! We just came back from Switzerland! We were only in Lucerne for a quick weekend, so we spent most of our time around the lake, so we didn’t have any time to go hiking! Another time perhaps.